There is a sense of security as it is a well-established product and the price is low. This review is about item#34727366. Good quality of stability! It is useful because it is cheaper than genuine bearings and can be purchased. This review is about item#34727384. I had NSK's "6003 C 3" and ordered and exchanged in combination. Even though it is not the same manufacturer, there is no problem in performance and quality since it is made between Japanese products. However, NSK's "6003 C 3" is not on the current sales list but on the old list Because I could not find it because of time restrictions at the time of ordering I was sorry that I was not able to assemble them all together. I used it for the wheel shaft of the motorcycle. It rotates comfortably and there is no abnormal noise at all. There is no problem. Low price. High quality. I have dealt with many bearings, but there are no bad defects. Thank you for your help. Used for replacing bearing of super jog Z drive system. You can use it with confidence for reliable made in Japan. No problem at all. I used it for engine O / H of Bang Bang (RV 90). 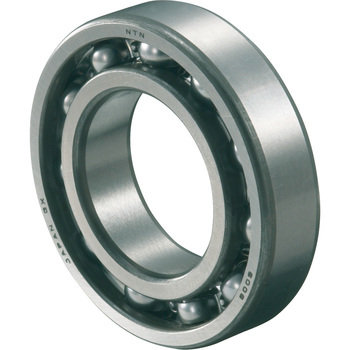 For bearings we are grateful because they are cheaper than genuine items. Those who can accurately grasp the gap pressurization of the bearing, or who can judge by yourself is advantageous than ordering genuine products. This review is about item#34727411. I used it for bearing exchange around the transmission of 2st jog. Clutch side shaft side, this part was the cause of gear oil leakage and axial shake. It is recommended because it is cheaper than genuine goods. To improve durability, we replaced it for C3 clearance bearings. Durability can not be confirmed without long-term use, but we are satisfied with the product. It is cheaper than saving with genuine parts and it is saved. I will also use it.